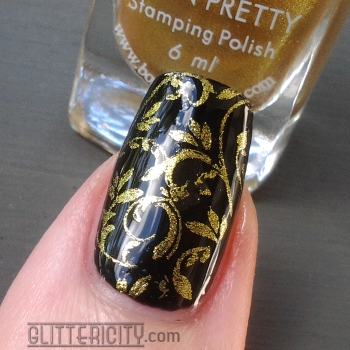 I've been looking for a good gold stamping polish for aaaages, and I'm so happy to have found it! 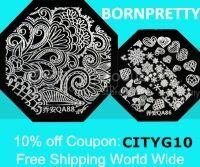 I have lots of good silvers that work beautifully, but for some reason none of the golds would do--they weren't opaque enough, or were too shimmery to create a clear image. This is exactly what I've been looking for! 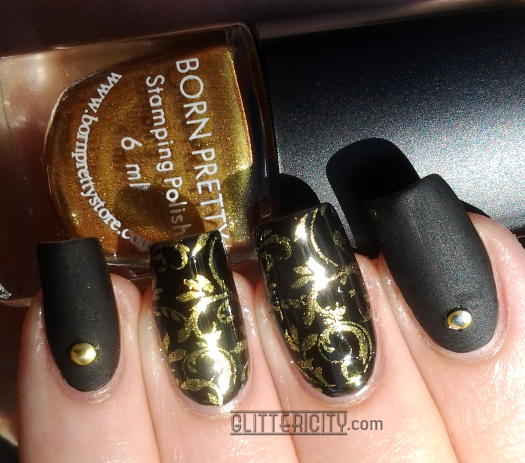 The base is simply one coat of Wet N' Wild Black Creme, everybody's favourite standard black creme polish :) Once that fully dried, I used Born Pretty Store's gold stamping polish and Bundle Monster plate BM-023 on the two middle nails + thumb, then topcoated with Seche Vite. 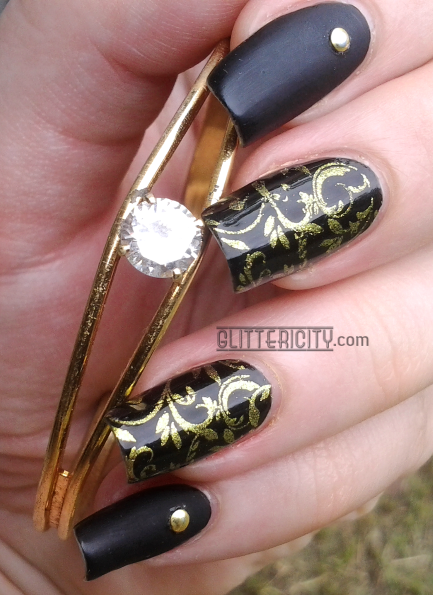 For the index and small fingers, a small gold stud (also from BPS!) 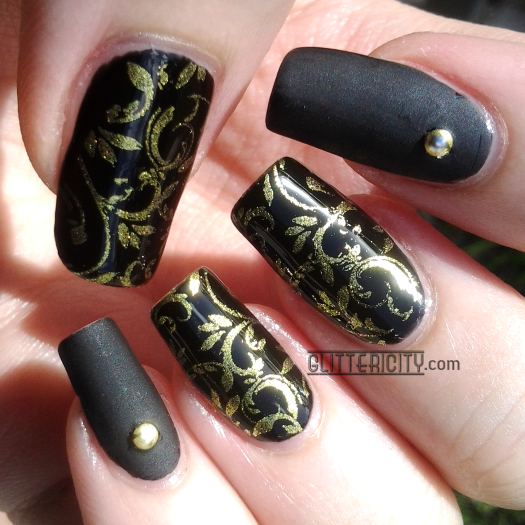 near the cuticle, and then I carefully added OPI Matte Topcoat around the stud, just to the black polish. Normally, one would add the topcoat first and then glue on the stud, but I can never seem to do this without making a shiny blob of topcoat or glue around the embellishment, which is ugly. This worked much better! I was able to gently scrape off any matte polish that got on the stud using an orange stick.